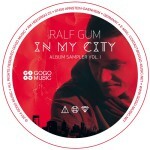 ‘With Her Hand’ is the third single off of Ralf GUM’s great new album ‘In My City’ and features Hugh Masakela. The album has been singled out as the Best Dance Album of 2014 by iTunes. The third single features none other than Hugh Masekela, a bonafide South African jazz legend. 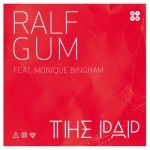 The track was written together with talented vocalist and song writer Monique Bingham who does the background vocals. 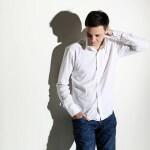 It was also produced along with Phil Kullmann aka Raw Artistic Soul. 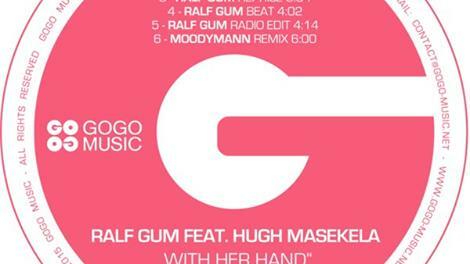 ‘With Her Hand’ also includes a remix in the release by Moodymann. 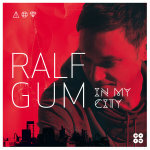 Ralf’s third album ‘In My City’ proves how focused he is on his work and how he wastes no time treating his fans to his new artistry. As a result ‘In My City’ has been one of the most celebrated albums of 2014. Hugh Masekela is a world famous flugelhornist, trumpeter, bandleader, composer, and singer. In 1960, at the age of 21 he left South Africa and started what ended up being thirty years in exile from SA. 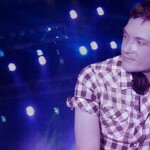 When he got to New York he enrolled at the Manhattan School of Music and immersed himself in the jazz scene. He’s performed alongside Janis Joplin, Otis Redding, Ravi Shankar, The Who, and Jimi Hendrix in 1967. In 1968 his instrumental single ‘Grazin’ in the Grass’ went to number one on the American pop charts . ‘With Her Hand’ is a deep musical piece and focuses on a topic close to the hearts of the artists who made it. Lyrically inspired by the reconciliation of Winnie Mandela with Nelson shortly before his sad passing in 2013. ‘With Her Hand’ will be available on all download stores on the 20th of March 2015.